This was my first website developed using a third-party CMS. I have to say the MODx framework is great! Lovely and simple to integrate with websites. 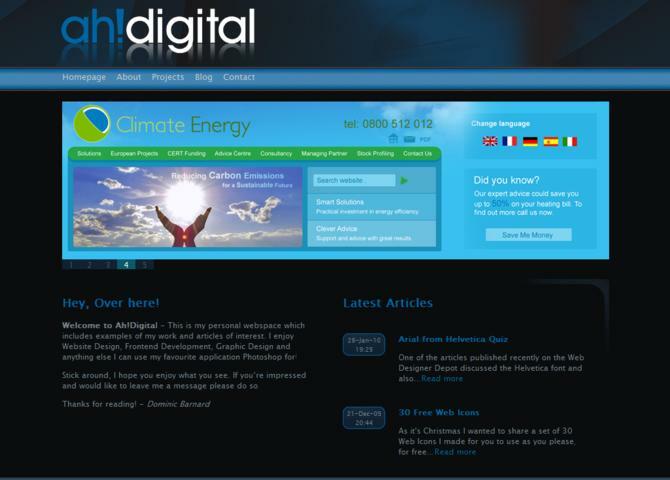 Ah Digital is my personal website showcasing the work that I love to do; Web & Graphic Design. Visit Ah!Digital - Web & Graphic Design.